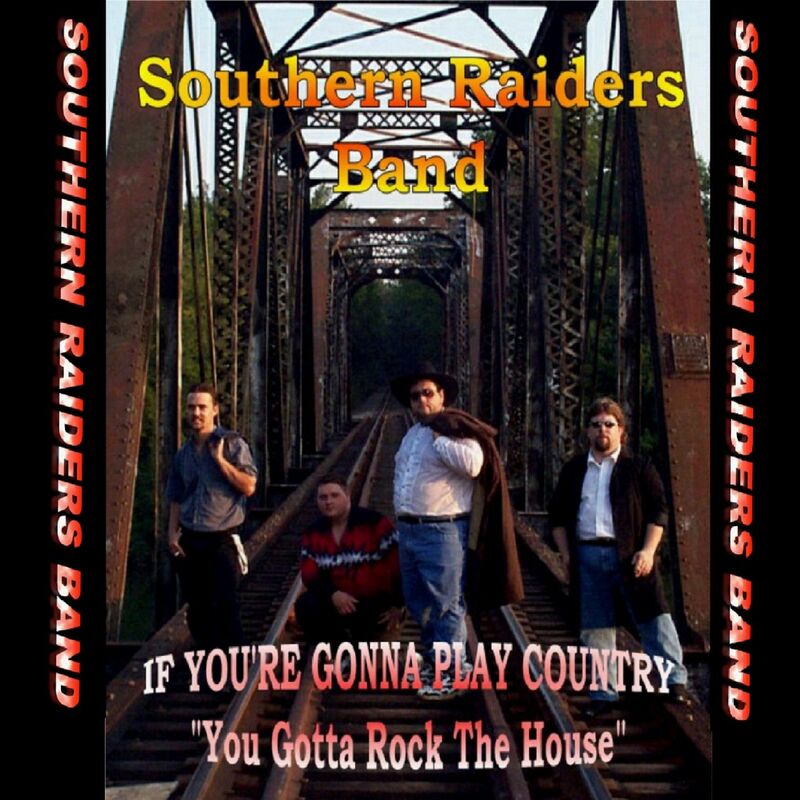 Southern Raiders Band “From There To Here” – HELLO & THANK YOU FOR CHECKING OUT OUR BAND. PLEASE FEEL FREE TO COMMENT, LIKE, ETC. JUST MAKE YOURSELF AT HOME & S.R.B. WOULD LOVE TO HAVE YOU AS A FAN ~ WELL HERE WE GO: ======================================= ***SOUTHERN RAIDERS BAND*** " Finest Blend Of Original Music From The Mountains Of East Tennessee…"
HELLO & THANK YOU FOR CHECKING OUT OUR BAND. PLEASE FEEL FREE TO COMMENT, LIKE, ETC. JUST MAKE YOURSELF AT HOME & S.R.B. WOULD LOVE TO HAVE YOU AS A FAN ~ WELL HERE WE GO: ======================================= ***SOUTHERN RAIDERS BAND*** " Finest Blend Of Original Music From The Mountains Of East Tennessee…"
and longevity. These musicians worked together on music projects until experimenting with there own original music. The end product of the two different genres created a Southern Country/Rock sound that was different from each person’s style and experience. The two founding members, Johnny Abbott and Ronnie Kelly, had formed a group that is still together today gaining radio airplay and digital song & album downloads almost 25 years later. Johnny & Rus Busy At Work Live…. up Ronnie for lead vocal for he was also playing guitar as well. The group was searching for the right person for the job and after a couple of weeks Ronnie found a potential guitar player working in a local music store and ask him to audition, Rus Michael, Rus, worked out great and also had vocal, keyboard and drum talents as well and was a major anchor in making sure all songs were, “Mathamatically,” charted correctly. Rus is still around today all these years later and all involved deeply appreciate and thank him. As SRB was becoming popular to fans and music management companies the group was performing constantly as well as writing and recording songs in the studio. However, bass player, George Burns, began having problems with his hands (Due to Diabetes) and eventually had to leave the group. (** Special note: George had came by lead guitarist Johnny Abbott’s home to ask help with a cell phone at 7:00pm on a Sunday and was found, unexpectedly, dead at his home, death estimated 11:30pm the same night.) SRB added new bass guitarist and friend, Gary Perkins, an experienced guitarist who fit the band chemistry very well and the group continued on their journey. Then, once again, another unfortunate situation arrived. While performing a, New Year’s Eve, concert, Lead Vocal, Ronnie Kelly turned to Lead Guitarist Johnny Abbott and ask, “Where am I,” and that would be the last show Ronnie ever performed with SRB. Ronnie had, unfortunately, developed a medical issue that would take a long time to recover. So now, the search began for a new front man-lead vocalist to take the helm. Ronnie Kelly, former lead vocal, had told him he should try out for the available position. With a little work, practice, recording and concerts young Lee worked out great. So former lead vocal Ronnie had found his own replacement and found an incredible singer that was beyond beginner status and remains all these years later. As SRB continued to play, write and record, Gary Perkins expressed concerns about his personal life and needed to leave the group for a period of time. At this point, new lead vocal Lee, informed the group that not only did he sing and play guitar he was an accomplished bass player. WHAT?-WOW! We couldn’t believe our ears. We, of course, tried Lee out on bass guitar and Lee has remained playing bass Guitar and fronting SRB for over 15+ years. Must note, when SRB has large audience concerts, Gary Perkins, returns to the stage freeing Lee to be more interactive with the fans. Gary is a great friend and musician creating an incredible asset to the band. “Raise Southern Dixie” – A Remix Of, Southern Raiders Band, Rock Songs. “If You’re Gonna Play Country – ‘You Gotta Rock The House” A Country/Rock Remix Album By the Southern Raiders Band. “ARCHIVED BALLADS“ – A Remix Of, Southern Raiders Band, Country/Rock Back- Shelved Balled Style Songs. Although SRB has many original songs in their arsenal, the group has decided to take new and some old songs to make three albums of their original music divided in three genres, Rock, Country/Rock, and Pop Ballads a comprehensive collection of the best songs SRB have written in each genre. The titles of these albums are, “Raise Southern Dixie,” for the rock songs. For the Country/Rock music the title is, “If you’re Going To Play Country – ‘You Gotta Rock The House.” The third album is made up with more of a ballad type style tunes and is titled accordingly, “Archived Ballads.” Please see albums below. The album titled, “Raise Southern Dixie,” consists of 16 original tunes written by SRB. These tracks are certainly rock all the way with singer, Lee Butcher, slamming out the vocals for these rock songs. Toby Smith follows up with his Power Drums that he is known for and with the addition of Johnny Abbott and Rus Michael filling the air with smooth guitar riffs that also include Slide Guitar as well as Twin Leads. If you like Southern Rock Music, SRB has the proven talent in this original rock album. n held. As being the first award giving in this U.K. Market for such an award, SRB found much notoriety from leading such a popular Music Award position. As the competition ended SRB after leading since day one came in as runner up missing the #1 Album by only one point. However, the #1 Album of The Year is now going to continue and SRB will be there, hopefully, #1 in next year’s event. is loaded with meaningful lyrics as well as country guitar licks and vocal harmonies. This album also displays the talent that each musician is Blessed with and SRB hopes this trend continues for years to come. songs put on one album that makes it also favorable to the music enthusiast. It certainly can be surprising, for example, the opening track is a song that has a 1950’s Big Band area sound that also contains the lyrics that have the, “Bop Shu Wop,” in it that goes back to that awesome era. Other songs include ballads that have personal meaning and hopefully fans also relate to this style music. SRB tries to write something for anyone we may be fortunate to come across that enjoys songs with interesting relative meanings. Hello and check out the, Southern Raiders Band, found at these great locations. Previous WAS I RIGHT OR WRONG? S.R.B. Jams ~ Awesome ~ Country Also! !